While we don’t cover the E3 Expo, the Comic-Con of video gaming, sometimes things pop up that pertain to our world of movie viral marketing. 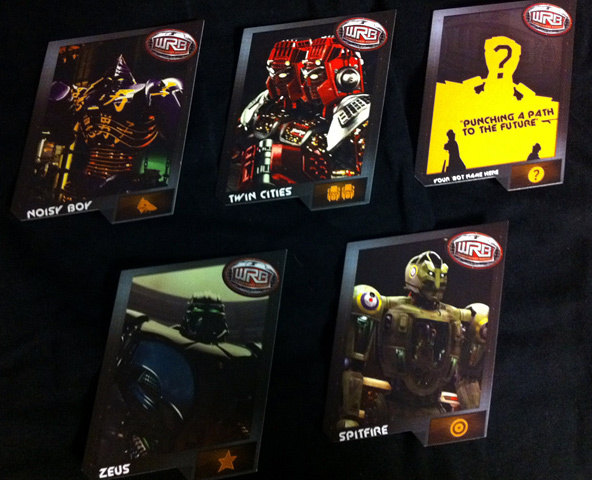 Such is the case with Dreamwork’s Real Steel, which shouldn’t be a surprise since earlier this year the film made an appearance at another gaming convention. After the break, get the details on what they were giving out at E3 and what new website was discovered. The film takes place in the future where robots take the place of people in the sport of boxing. The viral campaign for the film has focused on the World Robot Boxing (WRB) league, and this new development is no different. 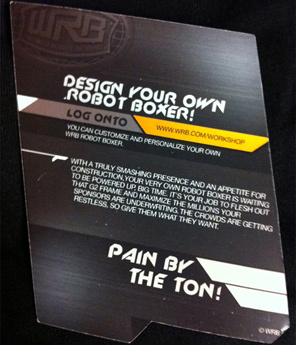 Girls at E3 were handing out WRB trading cards wrapped in WRB t-shirts. Check out some photos below, and see more at FirstShowing.net, who broke the story. The cards also link to the new viral website for the film, called Design for Chaos, which is really a subpage of the WRB website. 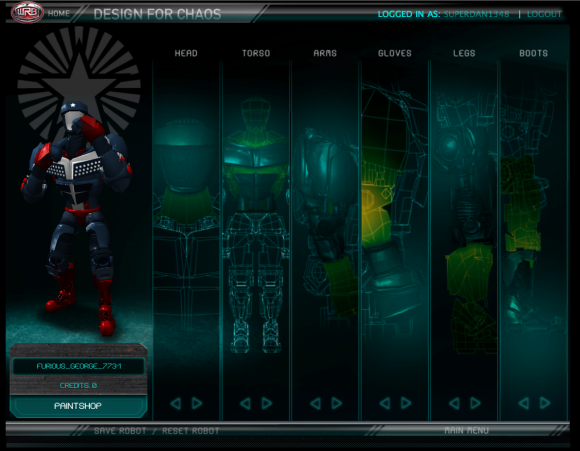 On this page you can create your own robot fighter, including name, icon, and paint job. Below is my example, Furious George, who I tried to make into a robotic Captain America. Hopefully we actually get to do something with these designs, such as play a game or help create some sort of animation. Real Steel is directed by Shawn Levy and stars Hugh Jackman as a washed-up boxer who must train an old sparing robot to become a contender. The film opens in theaters on October 7th.